The quality of life (QOL) has been defined as “a person's sense of well-being that stems from satisfaction or dissatisfaction with the areas of life that are important to him/her”. It is generally accepted that pain intensity and duration have a negative impact on the QOL. One specific type of control is “self-efficacy”, or the belief that one has the ability to successfully engage in specific actions. The ability to adapt to pain may play an important role in maintaining the QOL. In this study, we investigated the role of self-efficacy, pain intensity, and pain duration in various domains of quality of life such as physical, psychological, social and environmental domains. In this study, 290 adult patients (146 men, 144 women) completed coping self-efficacy and the WHOQOL-BREF Questionnaire. Moreover, we illustrated numerical rating scale for pain intensity. The results were analyzed using SPSS version of 19.0 and means, descriptive correlation, and regression were calculated. Our data revealed that self-efficacy but not the pain duration could significantly anticipate the QOL and its four related domains (P<0.001). In addition, it is noticeable that the effect of self-efficacy on the prediction of QOL is much more obvious in the psychological domain. 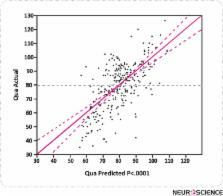 However, the pain intensity could predict all of the QOL domains (P<0.001) except social and environmental ones. In conclusion, to predict the quality of life (QOL) in person suffering from chronic pain, self-efficacy and pain intensity are more important factors than the pain duration and demographic variables. Self-efficacy: toward a unifying theory of behavioral change. Patient self-management of chronic disease in primary care. Patients with chronic conditions make day-to-day decisions about--self-manage--their illnesses. This reality introduces a new chronic disease paradigm: the patient-professional partnership, involving collaborative care and self-management education. Self-management education complements traditional patient education in supporting patients to live the best possible quality of life with their chronic condition. Whereas traditional patient education offers information and technical skills, self-management education teaches problem-solving skills. A central concept in self-management is self-efficacy--confidence to carry out a behavior necessary to reach a desired goal. Self-efficacy is enhanced when patients succeed in solving patient-identified problems. Evidence from controlled clinical trials suggests that (1) programs teaching self-management skills are more effective than information-only patient education in improving clinical outcomes; (2) in some circumstances, self-management education improves outcomes and can reduce costs for arthritis and probably for adult asthma patients; and (3) in initial studies, a self-management education program bringing together patients with a variety of chronic conditions may improve outcomes and reduce costs. Self-management education for chronic illness may soon become an integral part of high-quality primary care. The pain self-efficacy questionnaire: Taking pain into account. Self-efficacy beliefs in people with chronic pain have been assessed either by reference to confidence in ability to perform specific tasks or to confidence in performing more generalised constructs like coping with pain. Both approaches reflect aspects of the original conceptualisations of self-efficacy and both have proved useful, but it is noteworthy that confidence in performing activities in the context of pain is rarely addressed. An important element in the original formulations of self-efficacy referred to persistence in the face of obstacles and aversive experiences. In this context, self-efficacy beliefs for people experiencing chronic pain might be expected to incorporate not just the expectation that a person could perform a particular behaviour or task, but also their confidence in being able to do it despite their pain. This aspect of the self-efficacy construct has been included in a measure for people with chronic pain, the Pain Self-Efficacy Questionnaire (PSEQ). The accumulated evidence from a number of published studies and a confirmatory analysis with a large cohort of heterogeneous chronic pain patients attending a pain management program provide support for the PSEQ's original psychometric properties developed with a sample of chronic low back pain patients. The importance of taking the context of pain into account in the assessment of self-efficacy beliefs in pain populations and the ways in which this measure can be used to improve the assessment of people experiencing chronic pain, before and after treatment, are examined. Quality of life, pain, and psychological well-being in women suffering from gynecological disorders. Quality of life in patients with bipolar I disorder: is it related to disorder outcome?